In conjunction with the celebration America Recycles Day, the U.S. Senate Recycling Caucus hosted a briefing on Capitol Hill in which Robin Wiener, president of the Institute of Scrap Recycling Industries (ISRI) moderated. The briefing was to highlight the current state of the U.S. recycling industry from the viewpoint of different stakeholders in the industry, including municipalities, material recycling facilities, consumer brands, and paper and plastic recycling groups. Recycling is a global business. Wiener stated, “China’s actions exposed a number of weaknesses in certain segments of the U.S. recycling infrastructure, particularly with regard to the residential stream. … The good news is that innovation has always played an important role in advancing recycling. Many recyclers have already begun to change processes and invest in technologies to produce higher grades. But that takes time and money. Investments within the U.S. market are also being made by paper and plastics consumers and will result in increased demand for scrap in the coming years. European and Chinese investors are also moving into the U.S. market to more easily source high quality U.S. scrap. “Innovation is also coming from public-private partnerships within the United States. ISRI is proud to be a member of the Department of Energy’s REMADE Institute, a multi-year, $50 million effort initiated last year to drive advanced manufacturing within the U.S., focused on sustainability and recycling. This will provide new opportunities for the use of recyclable materials in manufacturing and also more focus on Design for Recycling. Previous articleDirector, Steve Burton, Face of a Vibant Economy! Director, and founding member of Andusia Recovered Fuels has been nominated as one of the 2018 ‘Faces of a Vibrant Economy’ by accounting network, Grant Thornton. 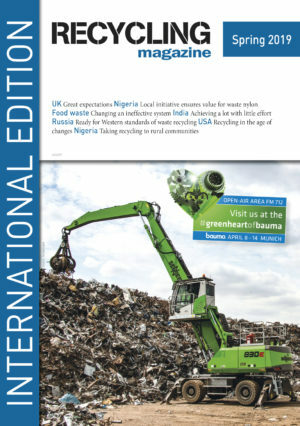 As the recycling industry celebrates America Recycles Day today, the Institute of Scrap Recycling Industries (ISRI) continues it role advocating for the industry in front of the Administration and on Capitol Hill.